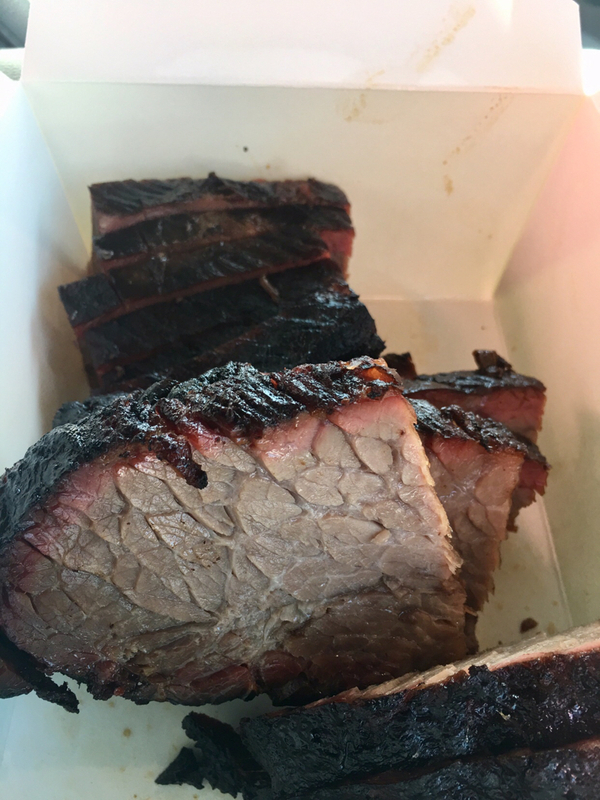 The Tale of Two Q-Joints [Review] - The BBQ BRETHREN FORUMS. Had to spend the night in San Jose last night for work. Yelp has 2,600 reviews with an average of 4 stars! Inside the place (that held probably 75) was almost full to capacity on a Tuesday night.. I was seated and ordered a 3 meat combo. Cornbread: One tiny muffin and 6 packs of butter? WTF!!? 2 built-in custom wood smokers behind the counter. Smells like BBQ, smoke rising out of chimney. It’s lunch time, but only about 6 people inside. I ordered their smoked sloppy joe. 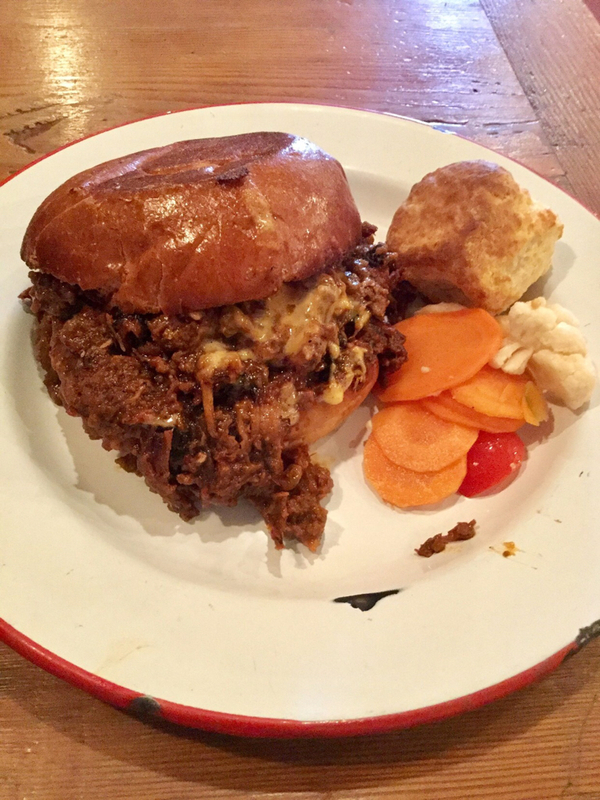 A brisket sloppy joe with pimento cheese! Last edited by SirPorkaLot; 10-10-2018 at 05:48 PM..
Last edited by SirPorkaLot; 10-10-2018 at 05:45 PM..
Yeah, i have always found an inverse relatioship between online Q reviews and what i thought. Yowzer! That is pricey and not very good to boot. Welcome to coastal California in general and the SF/Bay Area in particular. Nice write-up and good words of wisdom. SirPork, you and I have to disagree on your point #2. A hot, smoking pit Does Not equate too good Q. I find it to be a good way for bad 'raunts to lure the unsuspecting into their traps. 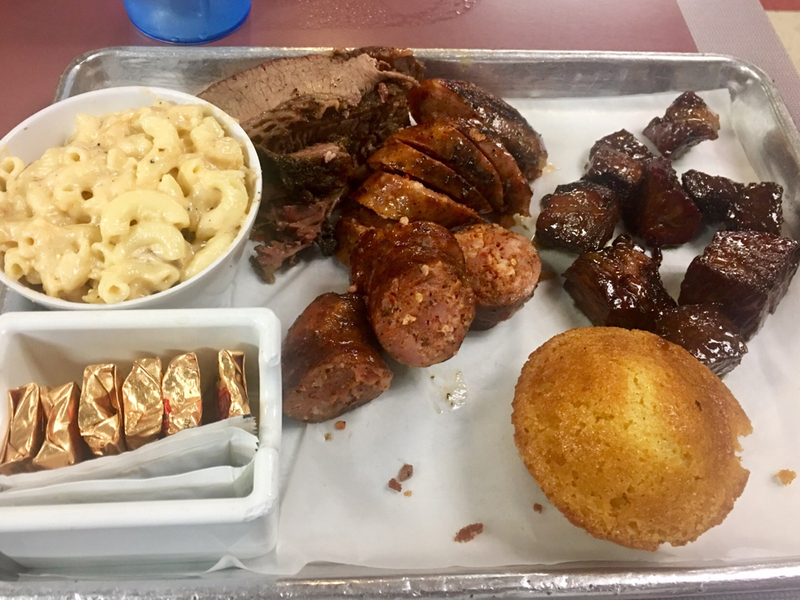 BBQ joints do not have to cook 24/7 to have good Q.
BTW, when I saw the prices at joint #1 I'd have probably walked and went to a steak house. 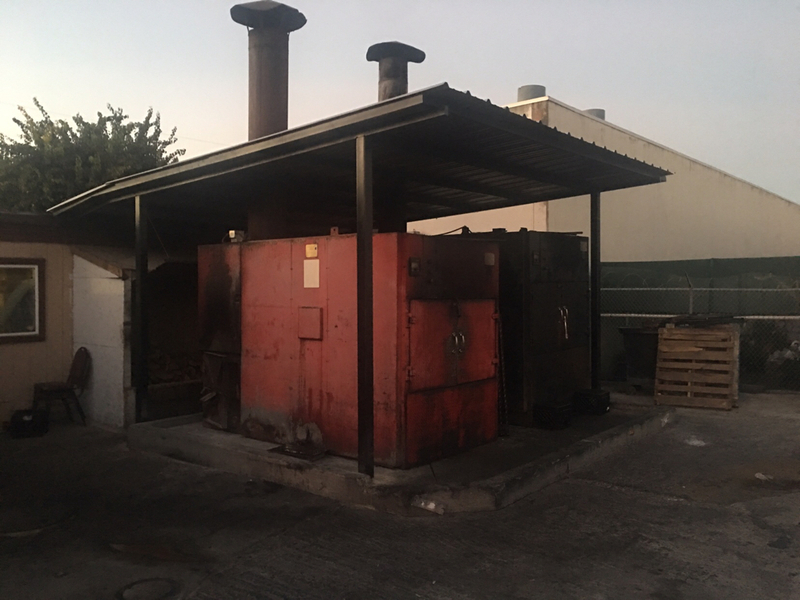 If the smoker is cold, the food has been held for some time. Great bbq restaurants cook for the day and close when they run out. Even if they haven’t actually been smoking in a few hours, smoker would still be warm. Price point doesn’t bother me if the food is on par with the pricing. This wasn’t.